Challenges | Discovering My Heart! Tobias has been sick constantly, and we have been in and out of the doctor’s office and hospital since he has been born. It feels never-ending sometimes. 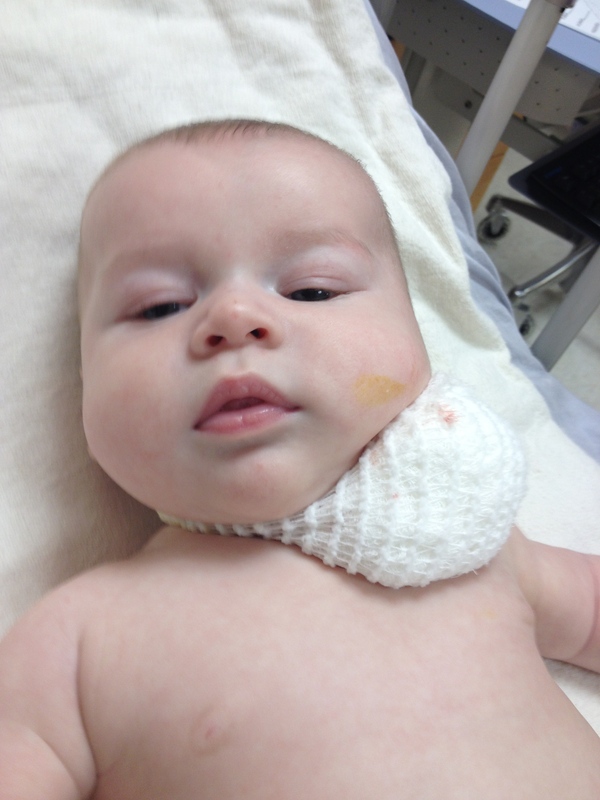 About a week ago Tobias was admitted into the hospital for an abscess that formed on his neck. Originally it was just a swollen lymph node. 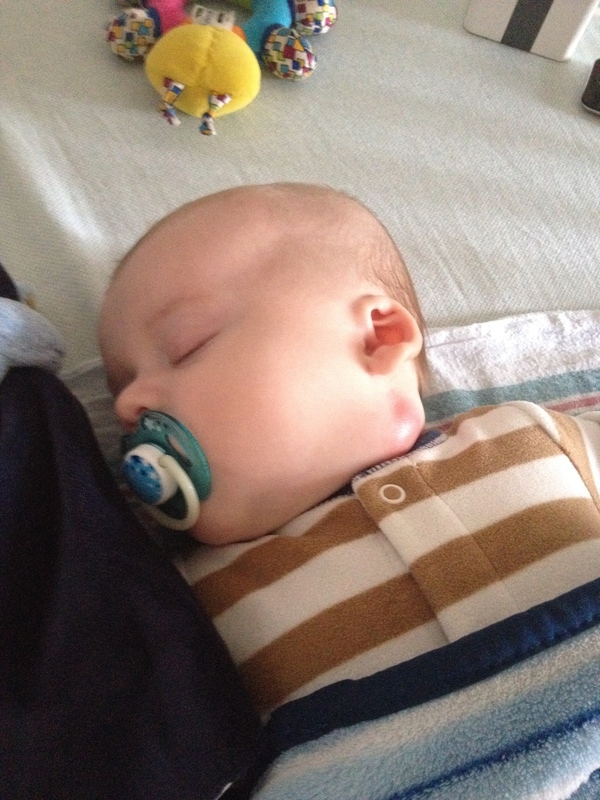 The abscess got so large that my son couldn’t turn his head without being in pain. So surgery was needed to drain the abscess. Passed out in the hospital crib. In an adult, it would be call a minor surgery, but for a 3 month old (4 months now) it is a pretty big deal since they have to put him under. 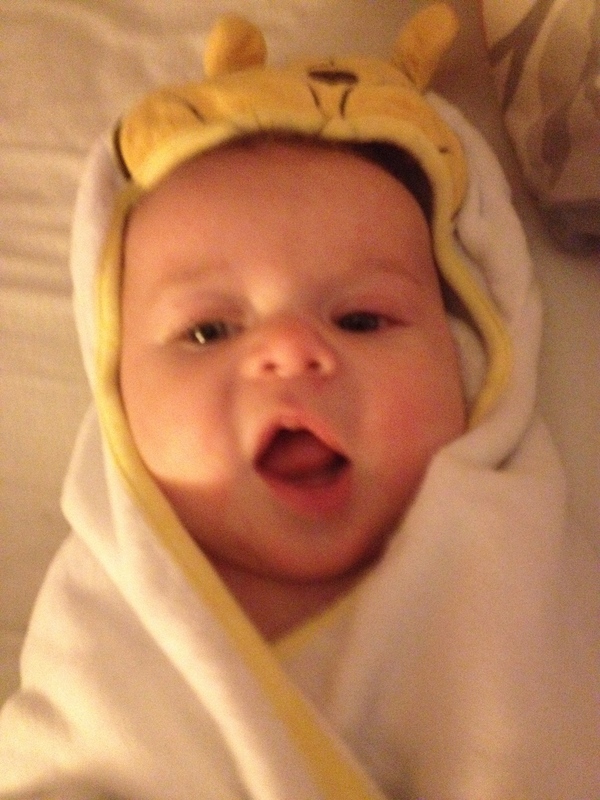 Tobias did great and healed quickly, but I was a mess. I couldn’t believe that he had to be hospitalized so young. Tobias after his surgery. He is one tough little guy. Of course there was more going on that we didn’t know. He became resistant to the antibiotics, and there was a mess of doctors and surgeons calling telling us what we needed to do. The calls lasted for a full week, each time it was a different doctor – talk about a headache. Poor kid was on three antibiotics before we got the right one in his system. Life is full of challenges, and problem solving has become a great skill of mine, but throughout this whole process I saw a part of me that I wish didn’t exist. Now yes, I care about my son and his well-being, but I couldn’t help thinking about all the bad things that seem to keep happening to me and my family lately. The point is I wasn’t letting God be exalted in my life. I was more focused on my own feelings and emotions than on God and what he desires. It may not seem like that big of a deal to some, but to me discovering this really stopped me in my tracks. I truly believe there is power when we speak it out. Just like there is power when we pray scripture. Every time I pray this I feel the burden being lifted off, and I can see clearly. This isn’t a process that can be stopped after one day. We as humans are selfish in nature and I know it can be hard to remove the focus from ourselves, especially when society rewards those who are self-seeking and those who work for their own gain. However, the reward we receive from God is much greater. He is my joy and my blessing! Being challenged isn’t a bad thing. Accepting to get through the challenge breeds good character and forces you to grow as an individual. And I don’t know about you, but I aways want be growing! I will leave you with some of my favorite quotes that I hope inspire you as much as they inspire me. How do you overcome challenges in your life? I am always looking for new ways to view various situations. Please share in the comments below. This is a great message. We have challenges that we face every day. It’s how we face them that determines our outcome. Very true JC. Thank you for the comment! Great post with interesting content.